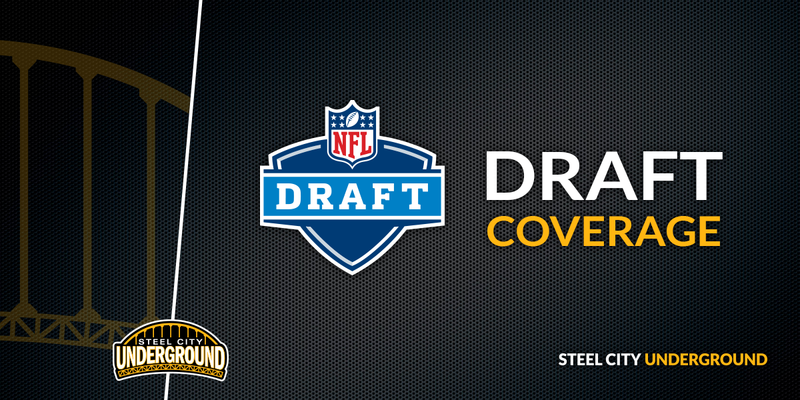 Home » Following free agency, what are the Steelers top draft priorities? One of the more recent topics on the Steel City Underground Podcast was the Steelers top priority this offseason. Brian Roach and I recorded that episode before the start of the NFL free agency period and before we knew the definitive fate of Antonio Brown. With free agency well into its second phase and AB shipped off to Oakland, we now have a better picture of Pittsburgh's needs. The organization made several signings during free agency, shoring up positions we first felt were the most critical need: wide receiver and cornerback. The team also added a hybrid linebacker/safety in Mark Barron to pair with the signings of WR Donte Moncrief and CB Steven Nelson. All three player can start tomorrow if necessary, but does that shift the focus of what the Steelers should do during the NFL Draft? Let’s take a look at some positions of need and get a sense of what the team’s top priority could be! I remember when everyone was freaking out about losing Antonio Brown: those days appear to be well behind us. While Brown’s production can’t be discounted, the ascension of JuJu Smith-Schuster in 2018 provides Steelers Nation with a glimpse of what the future may look like with the to-be third-year pro as the team’s top receiving threat. Behind JuJu, the cupboards aren’t that bare. There may not be another pass catcher who ends up in the 80-100 receptions department, but several are capable of helping spread that volume around to make up for the loss of AB. The Steelers are deep at slot receiver with both Eli Rogers and Ryan Switzer on the roster for the next two seasons. When Rogers returned, they were able to heavily incorporate four and five wide receiver sets. The same should be true even with the current pre-draft group, which includes Smith-Schuster, Rogers, Switzer, second-year pro James Washington and free agent pickup Donte Moncrief. Moncrief showed signs of being a receiving threat in Indianapolis but had a pedestrian year in an awful offense playing for Jacksonville. Washington was an explosive receiver in college and showed the ability to make big plays and combat catches throughout last year’s training camp, but showed little of that in the regular season. He was on a loaded depth chart and small mistakes meant moving to another option more easily. He’ll have every opportunity to grow in his second season and there’s every reason to believe he should: rookie receivers often struggle in the NFL. From my perspective of seeing Washington first-hand in workout sessions, he’s not another Sammie Coates and has the potential to rise to JuJu-like levels should the lightbulb go off in 2019. If I were a betting man, and some online casinos in the USA are already making prop bets about this, I'd say we shouldn't expect the Steelers to reach for a big-name receiver in the draft... especially after the Moncrief signing. The Steelers typically add another name in the mid-to-late rounds and that’s where I anticipate them going as they have rostered six wide receivers over the last few seasons and currently have ten draft picks to work with. The Steven Nelson signing signals no immediate rush to draft a cornerback. The initial pre-free agency panic was to find a partner opposite Joe Haden who could lock down the other side of the field. 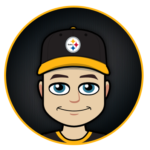 While Artie Burns failed to do so in his young career, he’s still on the roster as a depth option, and like at the wide receiver position, the Steelers still have some hungry young talent who can round out the roster, such as Mike Hilton and Cameron Sutton. They could add another veteran player, but I only see that happening if they pass on the position in the draft. Also consider Joe Haden’s age and contract, as well as Nelson’s signing: the Steelers may have to look at this position again in the draft in order to prepare for the future, but it’s not the immediate need they once had entering the new league year. Look for the Steelers to potentially play this out like the receiver position and take the best player available if a prospect is atop their draft board. 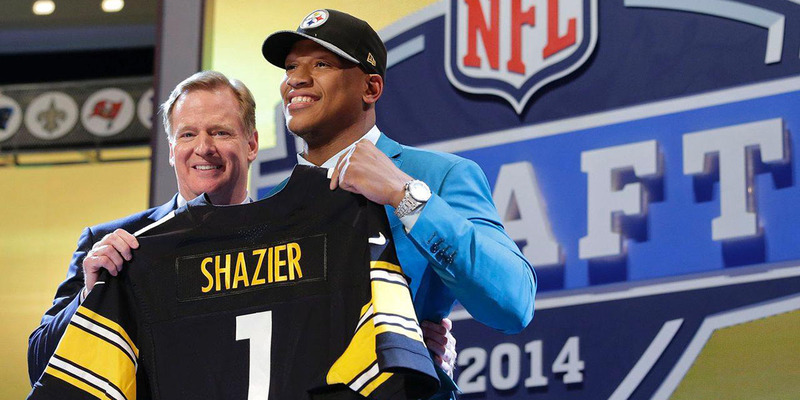 Three words: replace Ryan Shazier. The Steelers defense has been in a lull ever since Shazier’s injury. Last season they failed to truly address the position via free agency or the draft. They signed former Colts linebacker Jon Bostic, who fell out of favor for constant on-and-off the roster pick L.J. Fort, who also leaped past backup Tyler Matakevich for playing time. They were apparently in the hunt for one of the top inside linebackers in last year’s draft, but sitting back at pick 28 left them empty-handed. Fort is gone, Shazier won’t be back (at least this season) and the middle of the defense still needs to be addressed. The Steelers signed Mark Barron, formerly of the Rams, but I expect him to replace Morgan Burnett despite being a capable (and versatile) linebacker. Barron’s signing allows the Steelers to be patient, but the gut feeling here is that with ten picks to make and less than ten roster spots to fill with said selections, the team could make a move to get one of the prime prospects at the position this time around. Needless to say, inside linebacker is definitely a priority! The previous three positions I mentioned were all thought to be top priorities and were all addressed in free agency. That leaves the sparse outside linebackers’ group with a lot of question marks. I’ve defended Bud Dupree over the years, but it’s hard to swallow his $9m guaranteed salary this season, stemming from the Steelers optioning the fifth year of his rookie contract. We very well could be seeing the last season of Dupree in Pittsburgh… which doesn’t leave much of anyone else to take his place, especially if there’s an injury to he or T.J. Watt. Anthony Chickillo returns but has been underwhelming as a starter. He’s good for the occasional rotation/breather for Dupree or Watt and as a special teamer. Ola Adeniyi, an undrafted surprise during last year’s preseason, spent half of 2018 on IR. We have yet to see what he or former seventh-round pick Keion Adams are capable of doing. That leaves an edge rusher as a high probability for the Steelers come draft day. I’d even go as far to say if they can’t jump on one of their favorite inside linebackers or make some other type of movement on day one of the draft, then we could see the edge position as their top overall pick. It would give them a player who could, in theory, be on the roster for the next five seasons – and hopefully be as dynamic as T.J. Watt has been in his early years as a pro. That pairing would make it worth making edge a priority. Say it ain’t so! No one is talking about the tight end position in Pittsburgh but imagine this: the team is comfortable with their cornerback situation, doesn’t need a safety, and the top linebackers are all off the of the board. What do you do with pick 20? Do you take a receiver? That’s possible, but as noted above, the WR room doesn’t look all that bad. How about a tight end? Vance McDonald had a standout season and should continue to flourish in years to come… provided he’s healthy. But what if he isn’t? Or what if he regresses? Jesse James skipped town for Detroit in free agency, and Xavier Grimble, who continues to fight for his roster spot, is back on a one-year deal. Grimble doesn’t figure to be a dynamic weapon in the Steelers offense and didn’t see much playing time behind McDonald and James in 2018. James saw at least half or more of the offense’s snaps, making a rookie tight end a very nice proposition for Pittsburgh’s 20th overall selection. The Steelers could add another wrinkle to their offense by upgrading James’ spot with a better block and a better athlete. James didn’t have the most yards-after-catch and was often brought down instantly. He also wasn’t a burner speed-wise, which makes one of this year’s top tight ends a tantalizing idea to take and pair with McDonald. Adding a tight end will also give the team another tall target for Big Ben to find in the redzone. It would also help take the burden of replacing Antonio Brown off of the receivers, as well as give the organization a player who could be in Pittsburgh well beyond even McDonald’s years. It may not sound like a priority, but it could be a possibility. One that every Steelers fan should put on their radar! I feel as though the inclusions of Nelson, Moncrief, and Barron are enough to give the Steelers flexibility in the draft and choose a position we’re least talking about. I, as well as many, have their favorites, but it’s difficult to predict what players may be on the board with the Steelers top picks. 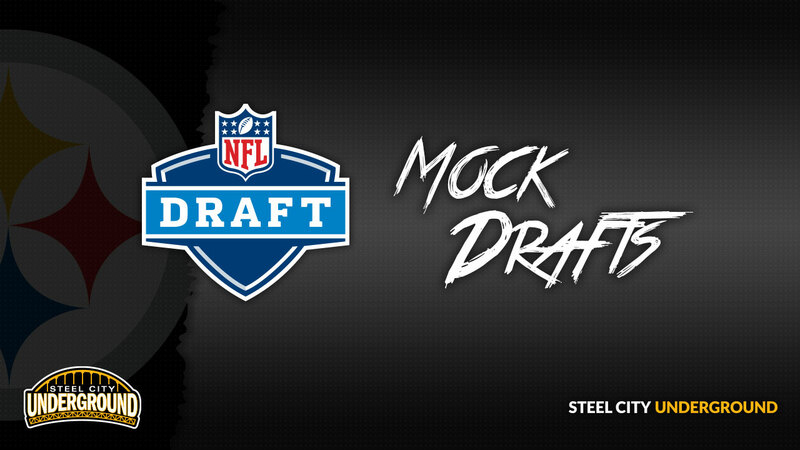 The Steelers will often sign and draft at a position of need, so I don’t want to downplay their probability of taking a cornerback, inside linebacker or wide receiver with one of their top four picks (two of which are in the third round). However, should a “best player available” situation occur at the time they’re on the clock, it wouldn’t surprise me at all if we saw a curveball thrown to add an edge rusher or a tight end. Thanks for the excellent breakdown, Joe! For me, I think their order of priority should be 1) ILB, 2) TE, 3) OLB. In 2016, they had Shazier, Timmons and Fort. Barron is not enough to replace them all, although I agree his addition saves them from complete desperation. MacDonald is a fine starter, but is injury prone. Grimble’s best play cost us a trip to the playoffs, so I don’t ever need to see him on the field. When MacDonald goes down, I could see us in no TE sets, with combinations of 2 slot receivers or Nix at FB. So again, not complete desperation. The odds are only something like 50-50 that the long term solution opposite Watt is currently on the roster, so I agree that they should look at OLB as a priority.